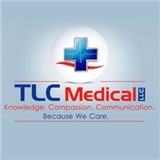 TLC Medical (Tampa) - Book Appointment Online! We provide comprehensive care in the office making it convenient for the patient to get in and out and we perform extensive diagnostic testing in house if necessary. We value your time and don't want you to spend your entire week going from doctor to doctor spending expensive copays, travel time and time away from work and personal life. Be sure to have a FL ID or proof of FL address when booking! Please call our office to see if we have an appointment time that is convenient for you that is not reflected here. We now have virtual appointments and also offer an extensive array of aesthetic services including but not limited to botox, dermal fillers, and spider vein removal among others. Very professional health care provider. All staff have been excellent to work with. My health concerns have been listened to and I have never felt like I was being rushed out so they could get to the next appointment. Best doctor I’ve had answers all questions and concerns and reviews everything with you before letting you go. Very friendly thank you for the quick great service !